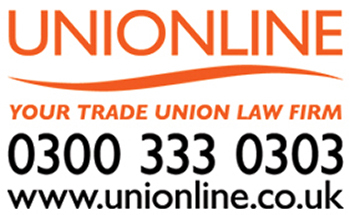 We are supporting a lobby at TUC Congress in Brighton on Monday 11th September calling for rules on cabs working outside the licensed area and other aspects of licensing to be tightened up says GMB London. The number of Taxis and Private Hire Vehicles (PHVs) in Uttlesford (Stansted Airport) is 18 per 1,000 people, the highest in the South and East of England. London is next with 12.4 per 1,000 people followed by Windsor and Maidenhead with 7.8, Woking with 7.1, Crawley with 7.1, Epping Forest with 7, Reigate and Banstead with 6.9 and Aylesbury Vale with 6.8. England and Wales has an average of 5 Taxis and PHVs per 1,000 people. London, as a whole, has 12.4 per 1,000 people. The East of England and the South East has 3.3 per 1,000 people and South West has 2.7. The lowest number of Taxis and PHVs are found in Breckland with 1.1 per 1,000 people. Next are Horsham, Maldon and Mid Suffolk with 1.4 followed by Wokingham, Suffolk Coastal and Fenland with 1.5. The lobby in favour of reform of cab legislation organised by GMB National Officer Mick Rix will take place outside Brighton Conference Centre, King’s Road at 11am on Monday 11th September. National standards need to be introduced that would guarantee safety and accessibility, updating regulations to keep pace with technological change and ensuring a level playing field between operators. Set out in the table below are the figures for total licensed vehicles in London, East of England, South East and Dorset and Wiltshire. The tables have been compiled by GMB London region, see notes to editors for sources and definitions. “We are supporting a lobby at TUC Congress in Brighton on Monday 11th September calling for rules on cabs working outside the licensed area and other aspects of licensing to be tightened up. “GMB London are pushing for much needed taxi reform legislation as certain councils continue to turn a blind eye to licensing rules and continually ignore cross border issues. We will push to change the culture of ‘wild west’ free for all and aim to give drivers and passengers the respect and national standards they duly deserve.